Fishermen at Dzemeni in the South Dayi District of the Volta Region, have declared a one month strike over what they say is the poor allocation of premix by the government. The fishermen, who depend on the product for their daily activities, say they have been hit hard by the closure and subsequent reduction of landing beaches by the government. 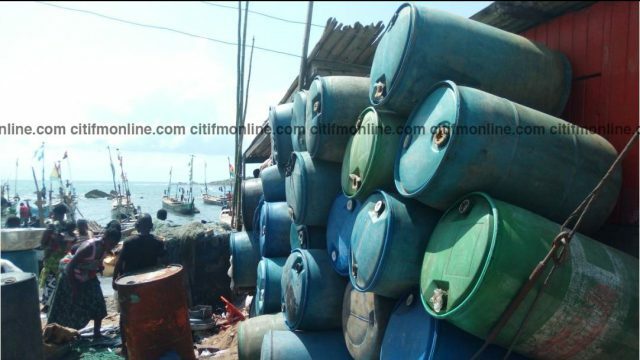 The government in an effort to streamline the supply of premix fuel to fishermen in only approved landing beaches following reports of premix fuel diversions, closed down some of them in the Volta Region. But the fishermen are unhappy about the situation, saying they will continue the strike beyond the 30 days if nothing is done. A local journalist in the community, Caleb Kuleke, explained to Citi News that in the last two years, the allocation to the communities has dropped by over a 50 percent. “The purpose of the strike is to awaken the authorities so that they will be able to increase the allocation of the premix fuel that they send to the communities,” Caleb Kuleke said.